Superb variety originating from New Zealand. Karaka Black has long arching thorny stems that bear lobed, mid-green leaves and white flowers in summer. Superb variety originating from New Zealand. 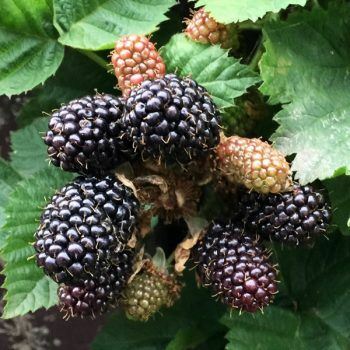 Karaka Black has long arching thorny stems that bear lobed, mid-green leaves and white flowers in summer. 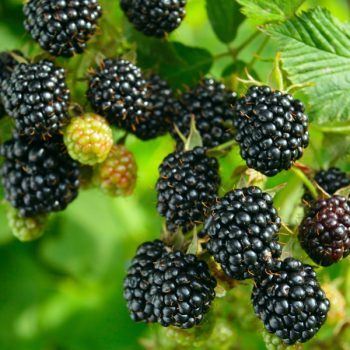 The flowers are followed by exceptionally long and large shiny black fruit that is firm, easy to pick and above all has an excellent flavour. The berries are superb for freezing and ideal for all-purpose use. Very long season running from early July onwards. 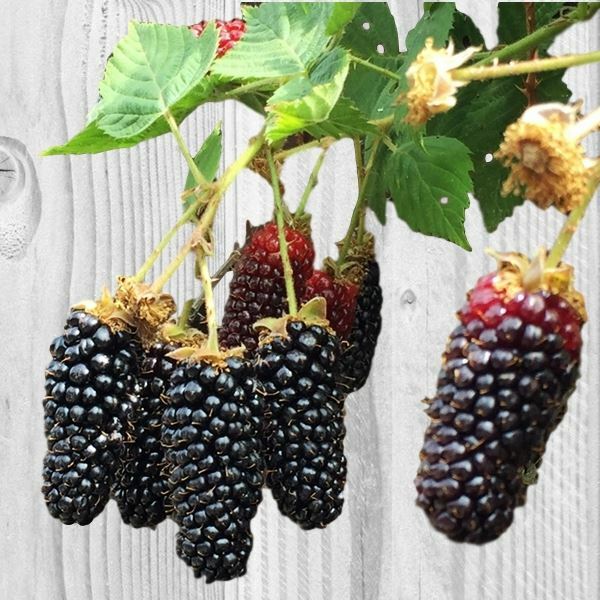 Karaka Black is quick to establish itself and very easy to grow, it also has excellent resistance to downy mildew. Recommended by the RHS as an excellent attractant and nectar source for bees and other beneficial insects. A quite outstanding performer! Eventual height: 2m (6ft). Eventual spread: 2.5m (8ft). Cropping season: July-September. Self fertile. This product is supplied in a 3L pot. Plant 3m (10ft) apart in rows. 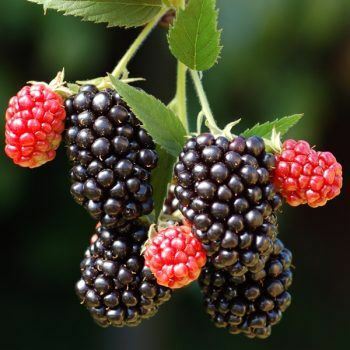 Best grown against a fence or wall for support in well-drained but moist, fertile soil in full sun or partial shade. Fruit is produced on the previous year’s stems. Tie in the new shoot – these will flower and fruit in the second year. Cut away the older stems and replace them with new vigorous shoots. Cut back damaged shoots in late winter and apply a general fertiliser.